AMMAN (Reuters) - U.S. Secretary of State John Kerry said on Sunday he and his Russian counterpart Sergei Lavrov had reached a provisional agreement on terms of a cessation of hostilities in Syria and the sides were closer to a ceasefire than ever before. But he indicated there were still issues to be resolved and he did not expect any immediate change on the ground. 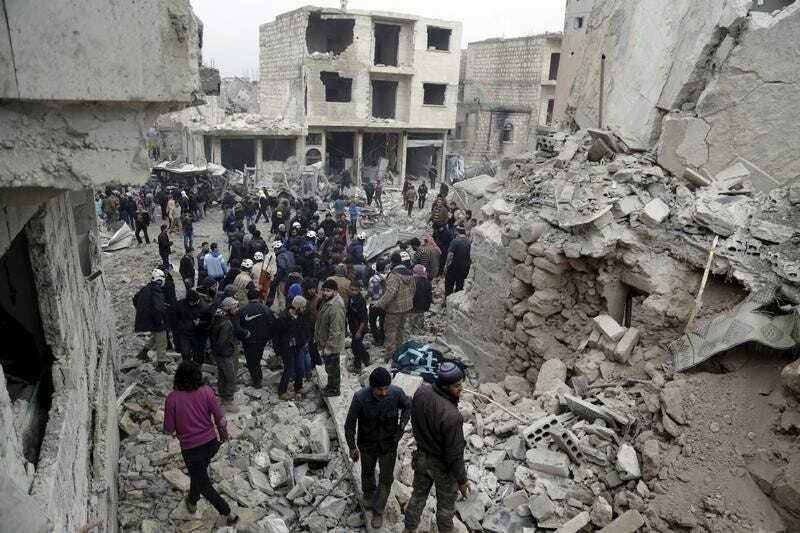 In Syria's Homs, twin car bombs killed at least 46 people on Sunday, and explosions hit parts of Damascus. Russian air strikes launched in September against rebels fighting President Bashar al-Assad have exacerbated suffering and destruction in Syria, where a five-year-old civil war has killed more than a quarter of a million people. Assad said on Saturday he was ready for a ceasefire on condition "terrorists" did not use a lull in fighting to their advantage and that countries backing insurgents stopped supporting them. Russia's Foreign Minister Sergei Lavrov (R) and U.S. Secretary of State John Kerry react during a joint news conference after their meeting in Moscow, May 7, 2013. "The modalities for a cessation of hostilities are now being completed. 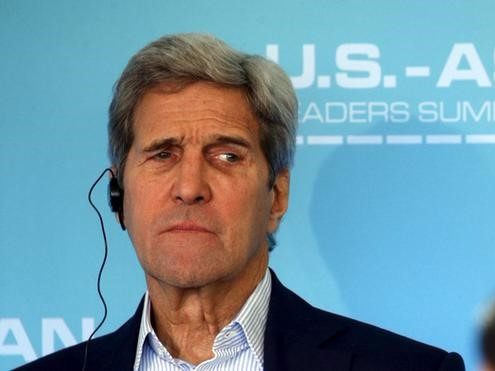 In fact, we are closer to a ceasefire today than we have been," said Kerry, who was also to meet King Abdullah. He declined to go into detail about the unresolved issues, saying the two sides were "filling out the details" of the agreement. 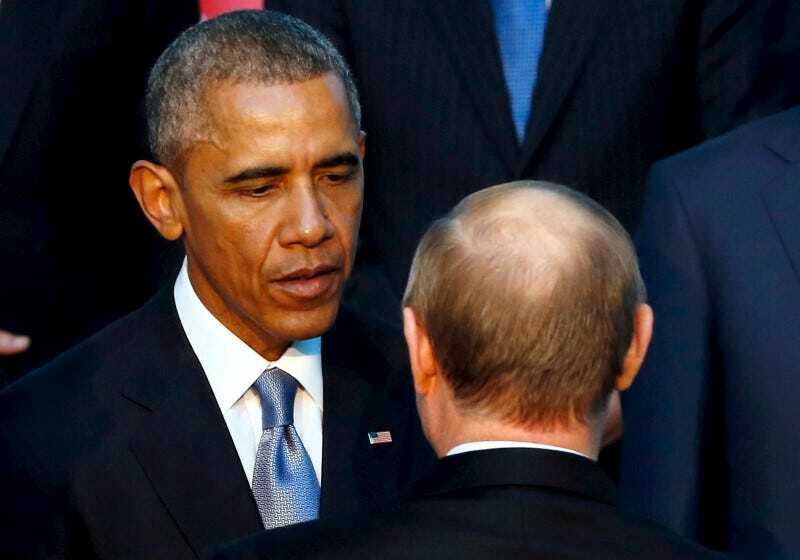 But he repeated the U.S. position that Assad had to step down. "With Assad there this war cannot and will not end," he said. Assad's fate has been one of the main points of difference between Washington and Russia, the Syrian leader's main international backer. Russia recently has begun to say Syrians should decide on whether Assad should stay or not, but it continues to support Damascus with air strikes. Kerry said he had spoken to Lavrov on several occasions, including earlier on Sunday, and that he anticipated U.S. President Barack Obama and Russian President Vladimir Putin would talk in the coming days to complete the provisional agreement in principle. U.S. President Barack Obama shakes hands with Russia's President Vladimir Putin (back to camera) as they gather for a family photo with fellow world leaders at the start of the G20 summit at the Regnum Carya Resort in Antalya, Turkey, November 15, 2015. 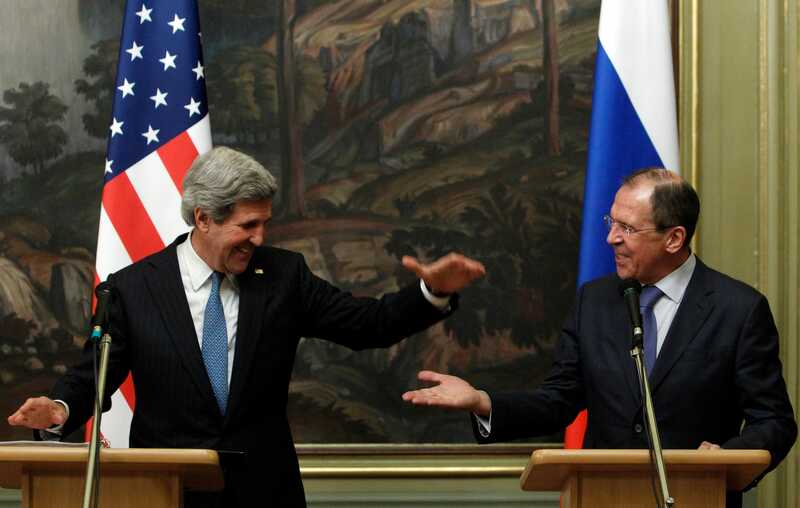 The Russian Foreign Ministry confirmed Lavrov and Kerry had spoken by phone on Sunday about conditions for a ceasefire. It said discussions were on ceasefire conditions which would exclude operations against organizations "recognized as terrorist by U.N. Security Council". These are groups including Islamic State and the al Qaeda- linked Nusra Front. Despite the provisional agreement, Kerry did not see an imminent change in fighting on the ground. "I do not believe that in the next few days, during which time we try to bring this into effect, there is somehow going to be a tipping point with respect to what is happening on the ground ... The opposition has made clear their determination to fight back," he said. In Homs at least 46 people were killed and 100 people wounded by the car bombs, one of the deadliest attacks in the city in five years of civil war, a monitoring group said. There were several explosions too in a southern district of Damascus, state television and witnesses said. The monitoring group reported casualties. Kerry said any deal would take a few days to come together, while the two sides consulted with other countries and the Syrian opposition. Russia had to speak to the Syrian government and Iran, and the United States had to speak to the Syrian opposition and its partners, Kerry said. Russia's RIA news agency said on Sunday that Russian Defence Minister Sergei Shoigu had arrived in Tehran, quoting a source in the Russian Embassy in Iran. It did not give a reason for the visit.